Take a step in the right direction by ensuring your stairs are always safe with Sure-Foot’s BOLD STEP® aluminum stair treads. They’re not only durable, but they also meet or exceed the recommended values for slip resistance on wet and dry surfaces. 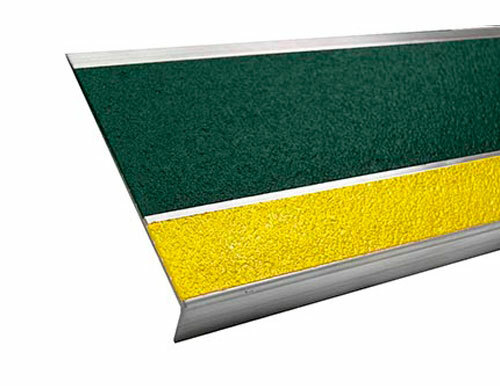 The 9” Yellow & Green Double Cavity Aluminum Stair Tread is ideal for interior or exterior steps and landings.